Twenty species of krill live in the waters of British Columbia (BC), supporting a small fishery for aquarium feed. This recommendation is for Euphausia pacifica, one of the most common species in the Strait of Georgia. Pacific Krill biomass has been above the long-term average for the last decade, although biomass surveys are not regularly conducted. Catch limits are conservative in order to account for predator needs and the quota is spatially distributed to minimize localized depletions by the fishery. There are uncertainties around the sensitivity of krill to climate change. Antarctic krill are targeted by midwater trawl in the Southern Ocean for krill meal, oil, and as whole krill for human and animal consumption. 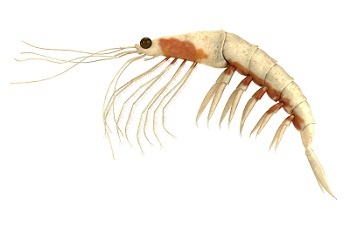 Abundance of Antarctic krill is healthy according to acoustic survey data. Quotas are set with the aim of maintaining the population abundance while accounting for the important ecological role that krill play as a key food source for predators. 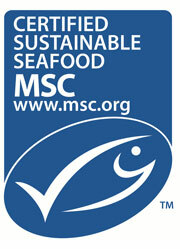 Krill is managed by the Commission for the Conservation of Antarctic Marine Living Resources (CCAMLR). Management under CCAMLR is effective. Bycatch impacts of the krill fishery are not well understood, although fishing gear is modified with the aim of minimizing mammal bycatch. There are some uncertainties around the spatial management strategy and the potential impacts on localized depletion of predators. An important factor in the sustainability of the krill fishery in the future is the impact of climate change. Although under current climactic conditions, the fishery is sustainable, changing conditions will cause unknown effects on the krill and their predator populations in the future.